In our Marika yoga mat review, we try to show you why you shouldn’t buy the Marika yoga mat. Instead, we recommend similarly priced cheap yoga mats that are much better for yoga. Please read on for our recommendations. The Marika yoga mat (Amazon link) comes in two sizes, a 6mm and 10mm version. First of all, the 10mm version is too thick for yoga. In our article on yoga mat thickness, we explained why you should not get a mat that is too thick, as it can be unexpectedly painful and dangerous. A 6mm mat is the thickest yoga mat that you should consider. The Marika yoga mat suffers the same problem as other poorly-made yoga mats. The material is quite flimsy, which means it dents and damages quite easily. After your first use, you may leave behind footprints that do not decompress. Just look at the reviews on Amazon. At the time of this writing there were four reviews, and every single one was a one-star review! The other major problem that the users mention is that the mat is quite slippery. Mats like this are made from a cheap synthetic foam with almost no grip. Using a slippery yoga mat actually makes yoga much harder to perform. Without a stable base, you will have to work harder even on easy poses. In addition, there is the danger of slipping and hurting yourself. Finally, the price of the Marika yoga mat is not worth it either. On Amazon, it usually costs over $20, while other places like TJMaxx occasionally have sales of about $10 for the same mat. For a price of about $20, you can buy a very good beginner’s mat such as the Clever Better Grip (our review link). If you just want to buy the Clever yoga mat, click here (Amazon link). INTERNATIONAL/Non-US customers: Amazon is difficult to use if you are overseas. Manduka is a premium brand that ships directly to international addresses you might want to try out. They are the most famous brand of yoga mats. This mat really belongs on our list of worst yoga mats to avoid. You can read about the horror stories of terrible yoga mat brands. Do yourself a favor and avoid the Marika yoga mat. 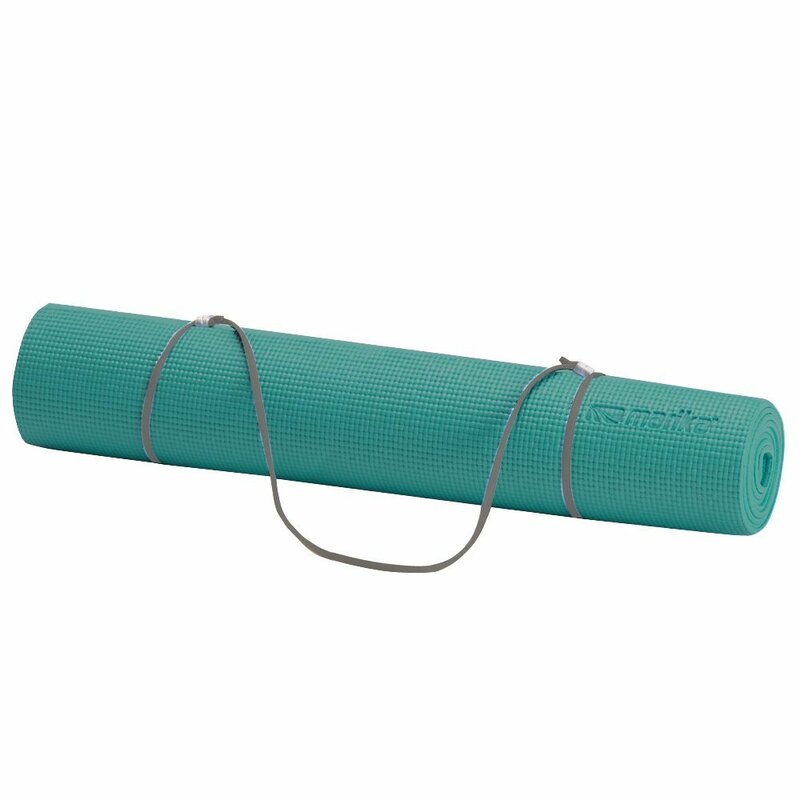 You can buy a yoga mat for the same price from a reputable yoga brand.